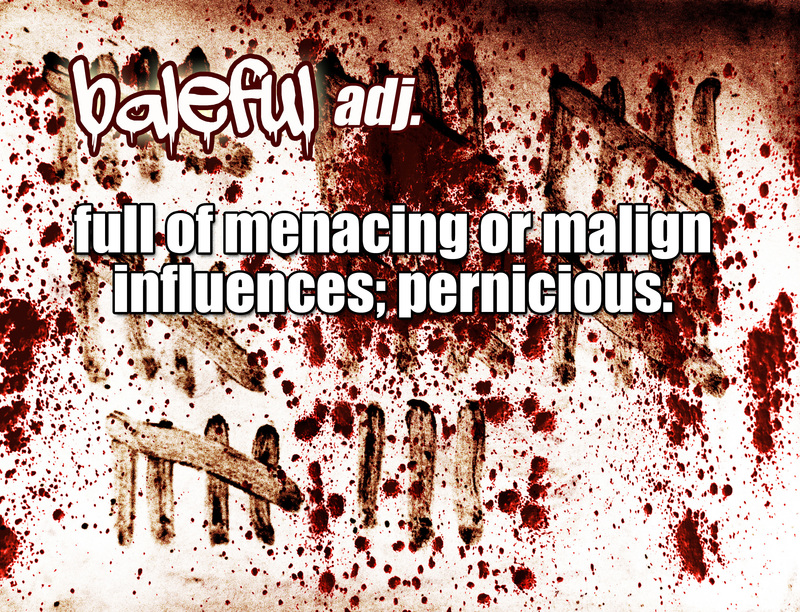 Baleful derives from a word meaning pain. Interestingly, most cultures and languages, including English, are dominated by words to express feelings and thoughts like baleful, or negative emotions over positive ones. You know how they say, it takes 20 compliments to make up for an insult. Unfortunately, the compliments can start sounding rather identical while the insults sound fresh. All mockery aside, the study shows our human focus on the negative. I think we focus on the negative, because the negative is more frightening, harmful. I think it’s more indelible for those reasons. We’re never traumatized because something so great happened. Why do you think language focus on the negative? How do you express pain, sorrow, and wretchedness?